America’s leadership in a global world depends on our ability to understand that world. And there is no better way to understand others than to speak their language. 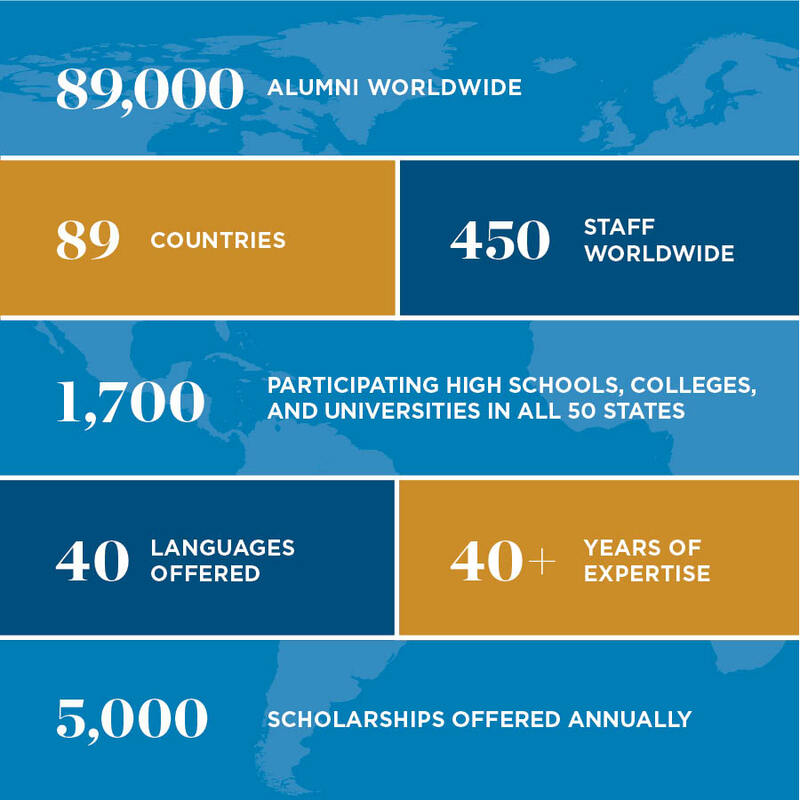 The world’s most successful institutions and determined nations work with American Councils for International Education through cultural exchange, language training, and professional development. Since 1974, our educational portfolio has grown to include 89 countries important to national security, prosperity, and peace. Our programs are backed by thorough research to ensure their quality and integrity. Our participants represent a spectrum of learners, from high school through the postdoctoral and professional level. To date, we have built a community of more than 89,000 alumni, including national leaders, ministers, members of parliament, ambassadors, and CEOs. We are helping to build a world of globally competent citizens, successful institutions, and responsible nations. We believe that international education should be accessible for all. That is why our mission is to advance scholarly research and cross-border learning through the design and implementation of educational programs grounded in key world languages, cultures, and regions. Through international training, cultural exchange, immersion learning, and public diplomacy, we broaden individual perspectives and foster personal and intellectual growth. On a grand scale, these efforts strengthen international and national security, build prosperity, and promote peace. To learn more about how we can work together, contact us. American Councils for International Education supports Sustainable Development Goals.